eaw035860 ENGLAND (1951). 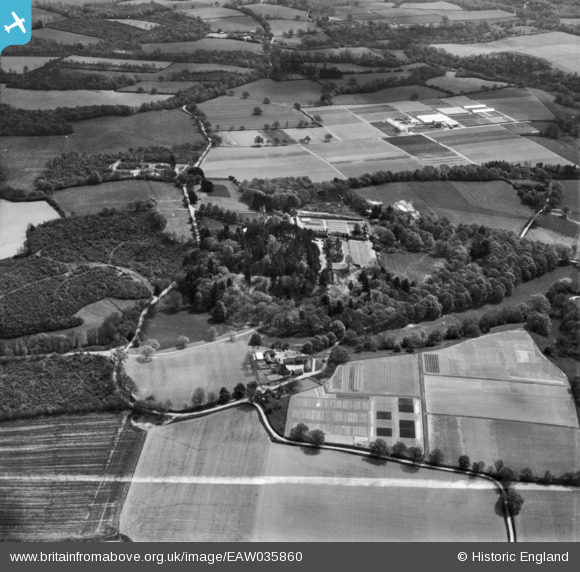 Plant Protection Ltd Fernhurst Research Station at Verdley Place and environs, Fernhurst, 1951. This image has been produced from a print. Title [EAW035860] Plant Protection Ltd Fernhurst Research Station at Verdley Place and environs, Fernhurst, 1951. This image has been produced from a print.